[! [enter image description here]][! [enter image description here]]Ok, so im currently in a crap house. 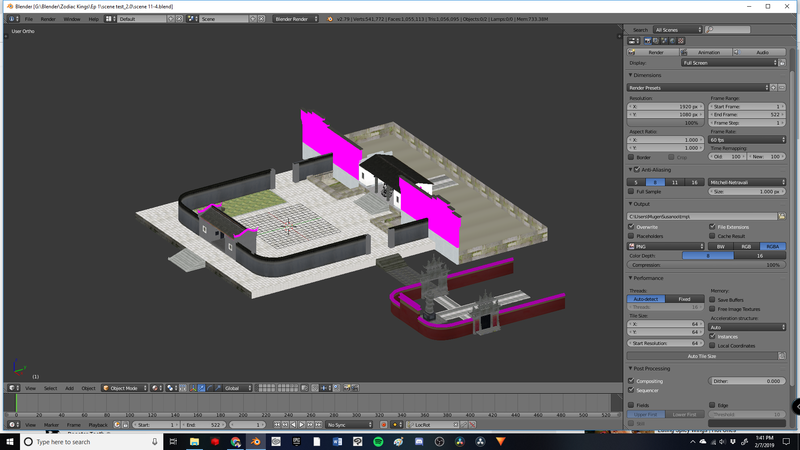 Can anyone explain why all of a sudden my scene no longer renders properly. It was doing just fine up until last night.. When i rendered a scene it sometimes gives me a black image and other times no image at all. Even when i go back to scenes that rendered successfully before. I get nothing now. Any ideas?? So i figured out what my issue was. First problem was that, (some how) my compositor nodes came undone. After i fixed that i was my image but it was in black in white, so i had to adjust from RGBA to RGB in the output section of the render tab. Now everything is back to normal. Why Do I Get This Error Message When I Send A Job to The Render Network? Object moving on it's own when rendered!